I Love Maths is an action-packed collection of 12 maths songs that will bring numbers and shapes alive for young children. Available with Words on Screen™ v2. Suitable for 3 - 7 year olds, this action-packed collection of maths songs for children will make learning about numbers and shapes great fun. Jump on the Number Bus, count sleeps until your birthday and learn about fractions while eating a pizza. With maths songs to cover number combinations, doubling, rounding up and down, the five times table and much more, there's never been a more exciting way to develop a love of maths. I Love Maths is now an award-winning title. "This is quite a unique product. The songs are catchy and the lyrics are easy to follow and learn. The children enjoyed learning the songs - particularly counting forwards and backwards to 10 and getting faster each time. All the children understood the mathematical concepts this covered and coped well with the vocabulary, though at times the backing track was a little fast. A really nice way to start a lesson and a good range is covered." "The children really enjoyed the maths songs. 'Give Me Five' was the most popular. A great way to reinforce mathematical concepts and encourage the use of mathematical language, though it might be a little difficult for three-year-olds. Catchy tunes with clear voices made the songs easy to learn." My Reception children just love this CD. We tidy up to the "Counting" song and it has really enhanced their Maths skills. 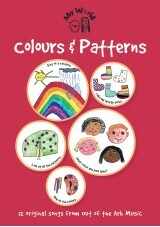 The parents are all asking where they can get the CD from as they have never seen children tidy up so enthusiastically. Thank you! I use this with my year 1 pupils - what a way to brighten up your maths lesson and waken up the kids with these lovely lively number songs - especially the counting song to 10 and back again. This is a wonderful resource. My reception class particularly love the doubling song. I Love Maths is just the resource i have been waiting for, thank-you!